This unbelievable wedding dress is a bit reminiscent of 50’s style dresses. It is calf-length and features beautiful lace detail on the bodice. 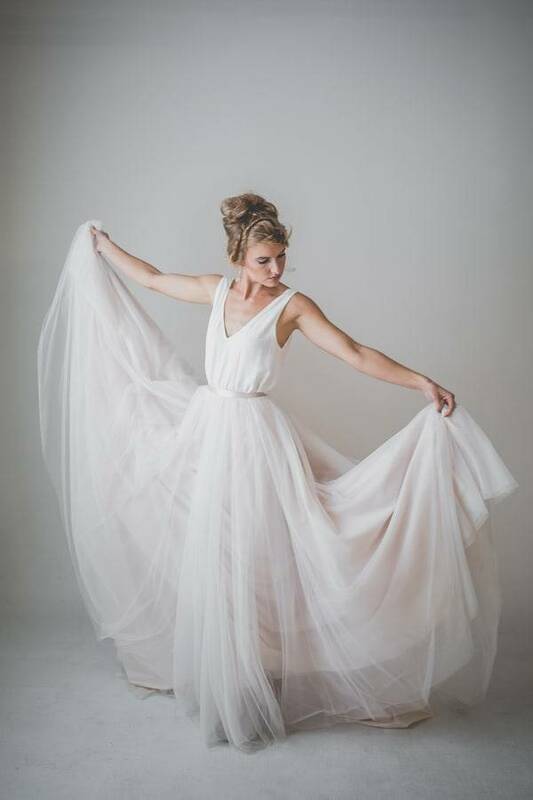 We love the full skirt and the overall elegance of this dress. For the bold bride, we adore this above-the-knee A-line gown which features gorgeous sheer material and circular embellishments. It’s a fantastic dress for a beach or tea-party wedding. 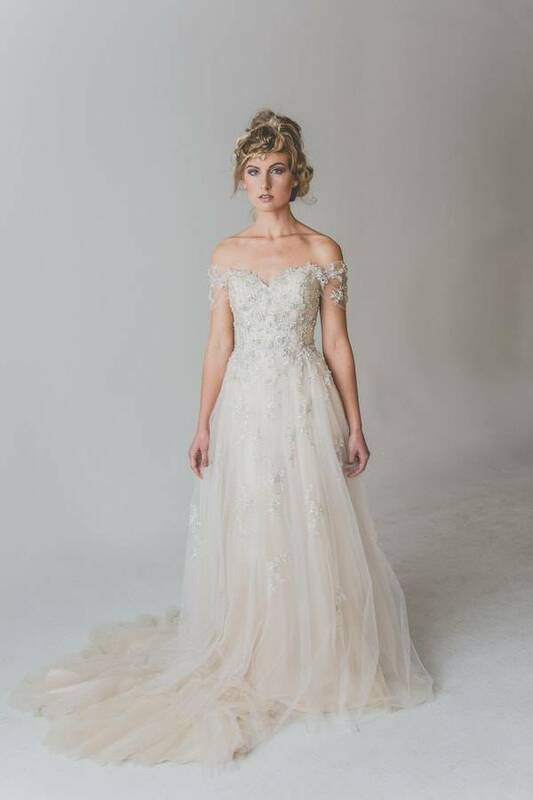 With clean, flowing lines, an embellished belt and a beautiful champagne color, this dress is a wonderful summer wedding dress. It’s elegant and tasteful, and would look smashing on all body types. You don’t have to sacrifice elegance to wear a short wedding gown. This one is very appropriate for summer. It’s knee-length in the front and cascades down to floor length in the back. 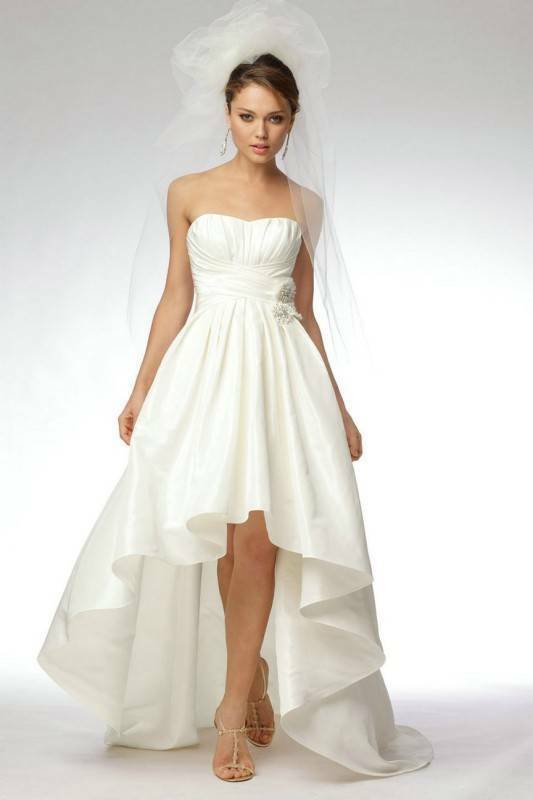 We love the sweetheart neckline and the ruching in the front. 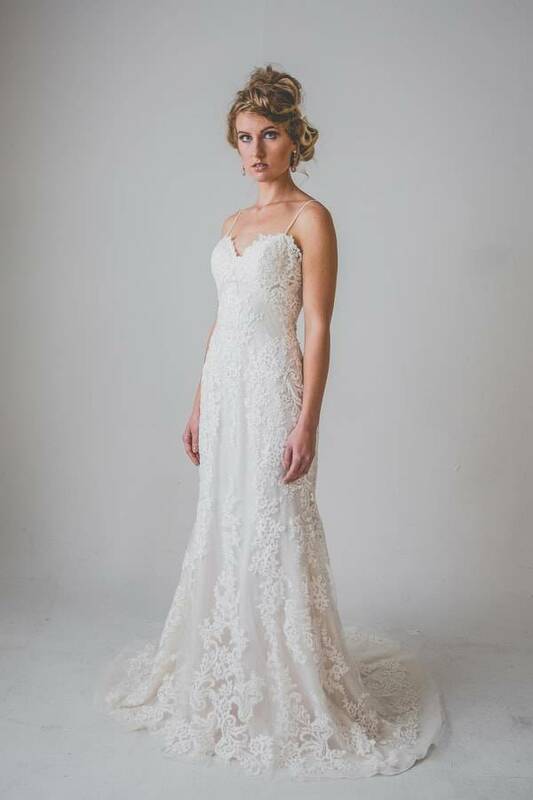 For the bride who doesn’t care for much embellishment, this gown is perfect. 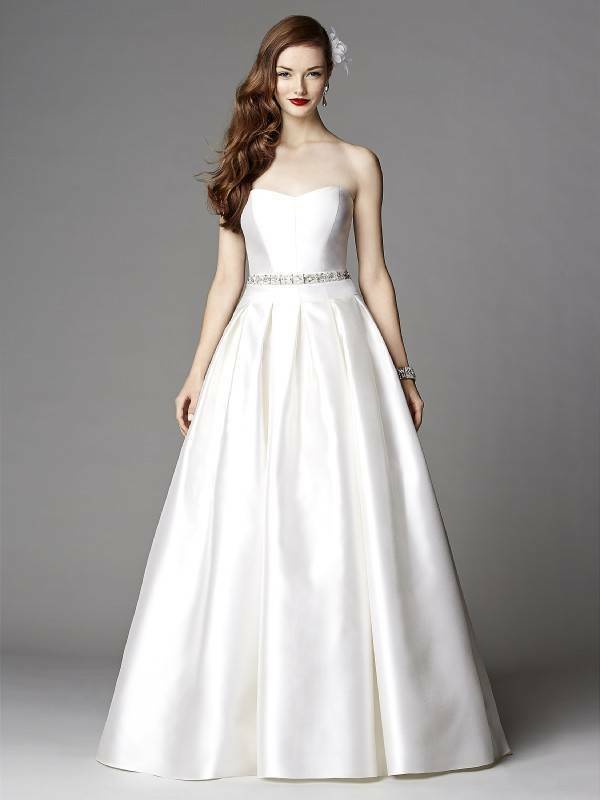 It’s strapless with a sweetheart neckline, and long, clean lines. 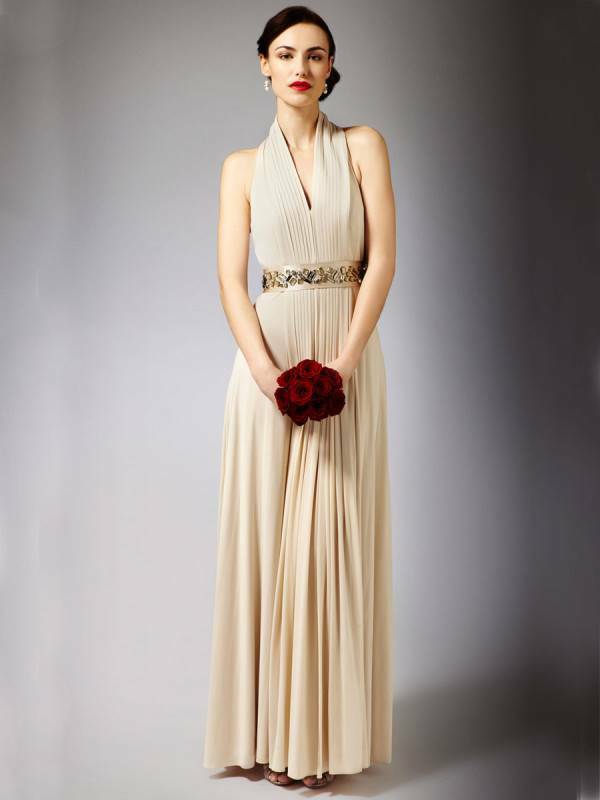 Floor-length, the only embellishment to this gown is the elegant belt. Another very simple and modern gown, this one has sheer cap sleeves that give it a couture look. With a pretty embellished belt and flowing fabric, this one is great for all body types. So, which type of bride are you? Which of these dresses speaks to you most? Let us know in the comments below! this is very beautiful site . every body like this site……?